An advertisement in a daily Viennese paper was the beginning of the foundation of the Magic Club of Vienna in the April 1908. At the end of 1907 already the Viennese teacher Ludwig BRUNNER tried to find by reports in daily Viennese newspapers interested amateur magicians, who would meet weekly for an informal exchange of ideas. In the beginning only amateur magicians met, so the club was called “KLUB DER AMATEURE FÜR MAGISCHE KUNST IN WIEN”. Soon also professional magicians became interested in the idea of exchanging ideas frequently and, according to new research the club was renamed to “MAGISCHER KLUB WIEN” in 1920/1921. Vienna was always a good ground for the art of magic. Ludwig DÖBLER excited the Biedermeier-audience with “Floras Blumenspende”. In the middle of the 19th century the celebrities met in the salon of the genius in card magic Johann Nepomuk Hofzinser. His “Hours of Deception” became a well known familiar quotation in Vienna. Twenty years later KRATKY-BASCHIK charmed his audience in his theatre in the Viennese Prater, an amusement park, with the appearance of spirits, magic effects and his playing of the mouth organ. Three streets in Vienna are named after these three excellent representatives of the art of magic and since the 1920’s people spoke of the”Vienna School of Magic”. Now two more streets are named after Compars Herrmann and Ottokar Fischer initiated by Magic Christian and the support by the municipal councillor Dr. Maillard-Pokorny. Before the 2nd World War, the index of the Magic Club Members looked like the list Who is Who in Magic. Besides the long time president Ottokar Fischer, the list contained among many others Dipl. Ing. CERNY, Franz MARSCHALL, David BAMBERG, Liliane BAMBERG-OKITO, Antonio MOLLINI, Valentino GRAZIADEI, C.H. LARETTE, Rolf HANSEN, KALANAG, Georg MYLIUS, John MULHOLLAND, Robert FARCHMIN, Dr. Reinhard ROHNSTEIN and Hans TRUNK. As cooporative members the following Societies were associated with the Club: the MAGISCHE ZIRKEL OF GERMANY, the SOCIETY OF HUNGARIAN AMATEUR MAGICIANS, the SOCIETY OF AMERICAN MAGICIAN, the MAGISCHE ZIRKEL GRAZ and also the TOKIO SOCIETY FOR EXPLORING THE ART OF MAGIC. During the German occupation and the World War II the MAGISCHE KLUB WIEN was made a local Circle of the GERMAN MAGIC CIRCLE by the stroke of a pen. But immediately after the last bombs dropped on Vienna the Club blossomed again this time under the presidency of Hans TRUNK, Reg. Rat Franz HOLL und Toni STURSA. 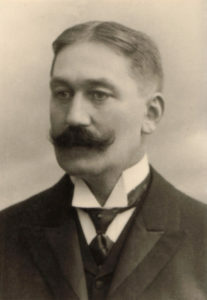 Later in 1962 Peter Heinz KERSTEN successfully guided the club for many years. Well known names like MUSTY, Charly EPERNY, Ernst LECHNER, Dr. Ernst SCHRAMM, Henk VERMEYDEN, Fred TAYLOR, Bobby LUGANO, ALLAN, Frank GORDON, Kurt FREITAG, Hardy WERNER, Gerhard SWOBODA und MAGIC CHRISTIAN were among the prominent list of members during these years. After the world congress of Magic in 1958, which was very successfully organized by its member Willy SEIDL the World Federation of Magic, FISM entrusted the Magischen Klub Wien under the presidency of Peter Heinz KERSTEN a second time to organize the World Congress in Vienna in 1976 : Then, more than 1800 magicians from all over the world met to exchange ideas and compete for the Grand Prix. It is still remembered as the convention with the most family like flair. The MKW belongs to the founder members of the FISM and also initiated the MAGISCHER RING AUSTRIA, to which it, today, no longer belongs. 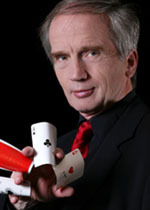 In 1989, Austria’s most successful magician of the recent years, Magic Christian, took over the presidency having been a member of the board for many years. He influenced the magic scene in Austria and in the MAGISCHER KLUB WIEN very much by his long term connections and engagements in the USA and pushed it forward. At the end of 1989 he founded the first Young Magician’s Club in Austria, to find and promote young magic talent. By the very attentive care and help of many experienced members of the Club many young magicians in Austria had the opportunity to improve systematically. Many first prizes at “Junior competitions” at the Austrian Magic conventions and abroad were won by junior members of this Young Magician’s Club. These very promising talents will keep and follow the tradition of this Club by presenting their magic with Viennese charm, spirit and knowledge.